Breakfast time is hectic, and it’s easy to get stuck in a rut eating the same thing every day. My kids LOVE cereal, but I always feel like it sends them off to school with a tummy full of empty calories and sugar. On the other hand, I love toast because I can top it with pretty much anything and can guarantee that my kids will get a good and filling breakfast. Not to mention any breakfast that takes less than 5 minutes of prep time is a thumbs up in this mom’s book! Side note: This also makes a really good after school snack! 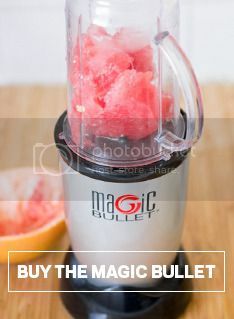 In your Magic Bullet, add the strawberries. Puree until blended, but a little chunky. Pour your strawberries onto your cream cheese and mix together with a spoon until incorporated. Place in a covered dish and refrigerate. When you’re ready, toast your bread. Spread cream cheese on the bread, then top with slivered almonds, and drizzle a little honey on top! Eat immediately and enjoy the cream cheese throughout the week.